Stampin’ Up! Demonstrator Pootles – New Stampin’ Up! Catalogue is a Go Go Go!!! New Stampin’ Up! Catalogue is a Go Go Go!!! Yay it is here and I am so excited! 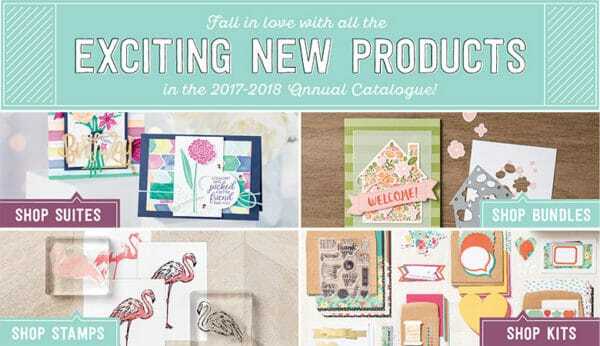 I’ve had my catalogue for almost 2 months and while I’ve been able to buy a small selection of products from it as a Demonstrator perk, I have been just as excited as all of you! What do I think will be the stars of the show? I’m not sure! I know what I love!!! The new Planner is a must for sure! I also adore the Coffee Break Suite for it’s great colours and shapes. There’s just so much! We have some new additions to our core line too – loads of new ribbons, new mini dimensionals, glossy cardstock and more. One of the stamp sets that I fell on straight away was the Happy Birthday Gorgeous set. 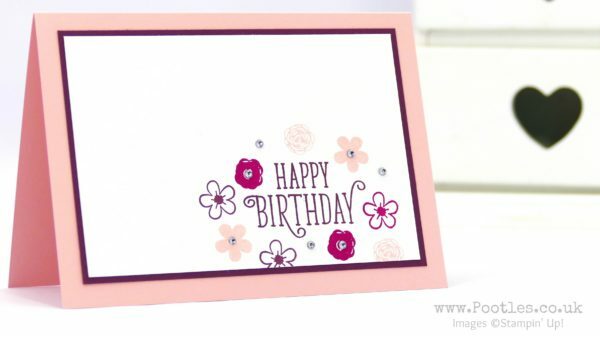 You know me, I love to make simple, pretty cards that use minimal products, so this card here uses just the one stamp set and 2 of the new In Colours in ink and cardstock. A handful of rhinestones and done! Oh and don’t forget, orders over £150/€200 qualify for 10% extra back to spend on anything you like, but orders over £300 qualify you for an extra £30/€40 on top! Yay for free cash to spend on stuffs!!! 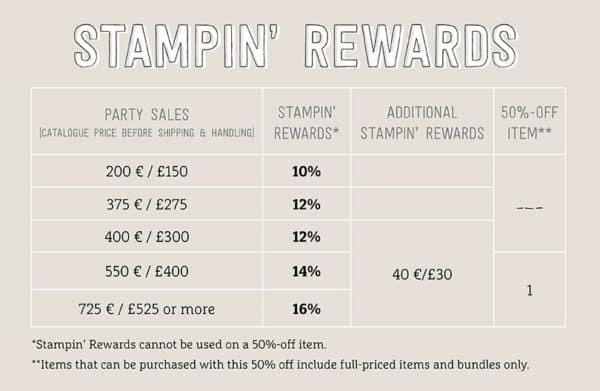 « Last Chance for the Stampin’ Up! Retiring List is…. today! Lovely CAS card Sam. Thank you for sharing this. Hey catalogue . . . Happy Birth date!!! I will physically see my catalog on June 10th . . . Hooooraaaay!!!! Sam, As usual– I love your sweet and simple ideas for cards and projects! 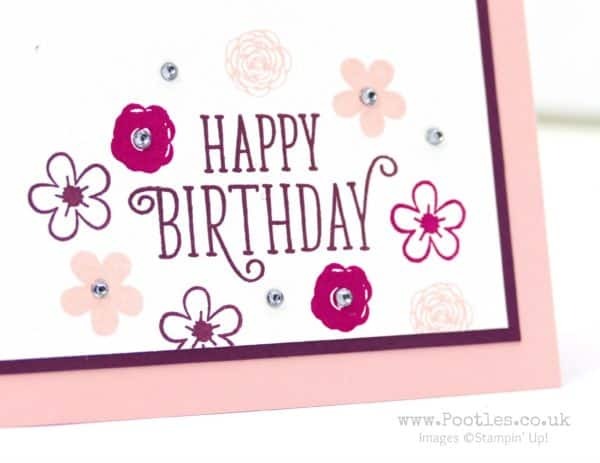 This will be a perfect card (in a different color scheme) for my sister-in-law’s birthday!